The American military vessel was earlier spotted passing through the disputed waters of the South China Sea despite numerous demands from China, who has a significant military presence in the region, calling for the US to stop such "provocations". The US Marine Corps have been testing a concept of a so-called "Lightning Carrier" during joint drills with the Philippines military, Business Insider reported. 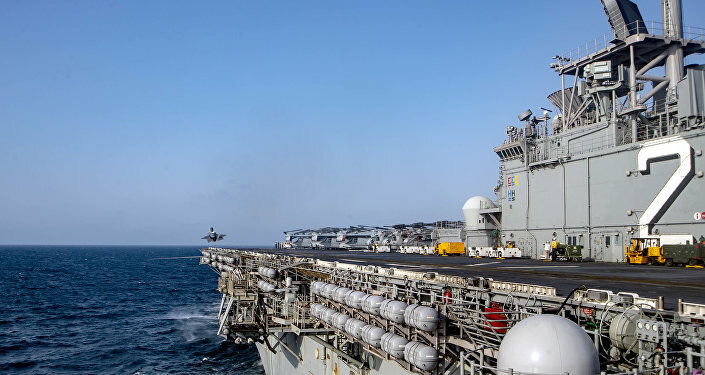 The idea of this concept is to load an America-class amphibious assault ship, such as the USS Wasp currently participating in these drills, with 10 or even more F-35 Lightning II jets — twice the amount normally loaded on such vessels. "The experiments led to the realization that this is an option […] I think the Marine Corps may be realizing that this is the best use of their large amphibious assault ships. I think you are going to see more and more deployments like that", Bryan Clark, a naval affairs expert told the media outlet. US Marines are planning to use such "Lightning Carriers" as a supplement for big navy carriers. 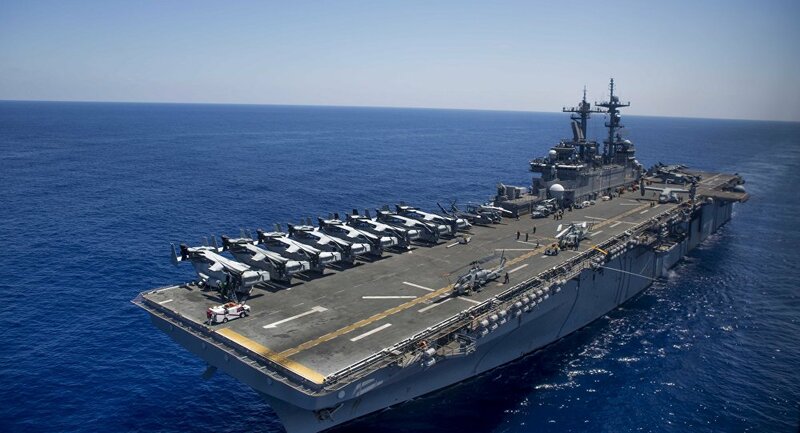 According to a Marines Corps spokesman, they will take full advantage of the amphibious assault ship as a sea base, but at the same time will provide a significant air force with strike capabilities. In comparison to regular carriers, "Lightning Carriers" have a significantly smaller effective range, when they counter naval and aerial aggression or conduct strikes. This downside is caused by the need to use the F-35B modification, suited for short take-offs and vertical landing necessary on amphibious ships' decks. "B" modification has a smaller operational range and effective payload than the F-35C — a modification used on US Navy carriers. Another drawback of "Lightning Carriers" is that they can carry far less fighter jets than supercarriers can. Although they can theoretically be fitted to house up to 16-20 F-35s, the number pales in comparison to over 75 jets that can be carried by Gerald R. Ford class carriers. The drills are part of US-Philippine exercises, which reportedly carried out drills regarding the possible recapture of a smaller island with joint forces. The Philippines control several islands in South China Sea, whose waters are contested by several states, including China. Earlier on 6 April, the amphibious assault ship, USS Wasp, was spotted in the sea's waters, despite Beijing continuously insisting that Washington must stop sending military ships to the region, calling such acts "provocations".